She was Lucas' little sister but soon turned out to be the boss of the house with her snappy replies and quick-witted dialogues. We can't wait to see more of her in season 3. Dyer and Heaton kept their relationship a secret but once Nancy and Jonathan had professed their love for each other, the couple decided to make the news public. Dustin was introduced to us through his lisps as he tried to convey to the characters and the viewers about the late growth of his teeth. The Netflix show 'Black Summer' is a zombie-apocalypse thriller slated to release on April 11. The show stars Jaime King in lead role. When 13-year-old Nicole aka Nick's life gets unknowingly ruined by a family, she infiltrates their life to seek revenge on them. Clearly, she's up to no good! With a complex storyline like this, creator Jeff Rake chose not to tell the story from the viewpoint of a particular protagonist but to include several voices. We have witnessed the phenomenon of movie stars coming to the small screen, proving that there is no replacement for talent. 'Stranger Things' Season 3 preview: Will Billy Hargrove remain the bad guy or will he finally redeem himself? This summer might be the turning point in their lives as they set out to try new things, but the danger is still there. Mike has an equal amount of compassion for those who are unable to help themselves but he never looks down upon anyone. She was not the girl who would let anybody bully her around but she is also not someone who would follow her brother's footsteps into becoming a bad person. She went missing in Season 1 and no one seemed to care until Season 2, and even then Barb was just a memory and not a person. That game had quite a number of instances that could be well used on the show but in order to find that out we still have three more months to go. Steve and Billy had started off as arch enemies on TV, and fans are speculating that they will take this war to season 3. He came in like a half-mad, mostly drunk guy who had nothing together but soon he became a man who everyone would adore. Steve Harrington came in like the biggest disaster with his shallow personality but he soon went on to become the boy with the biggest heart. 'Stranger Things' is nerdy in every sense but it has terribly failed to develop its characters, especially the women. Written by Gwenda Bond, 'Suspicious Minds' is set in 1969, in a mysterious lab run by a sinister scientist, and reveals a secret history that was kept hidden for years. Fans have their theories on what lies ahead for the Hawkins gang and if they come to pass, let's just say that season 3 of 'Stranger Things' might be the most interesting one yet. Syfy's 'Deadly Class' officially airs tonight. Be ready to see Lana Condor in the most non-Lara Jean version and look out for the gore! Amy being the test subject, and Wolgast being tasked with retrieving her for the medical trial is enough to make them enemies, but what we see instead is a change of heart in both. 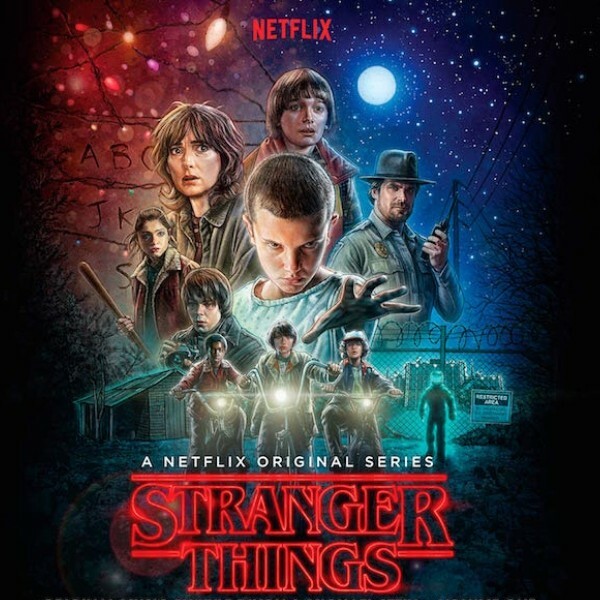 When Will Byers goes missing, his friends- Mike, Lucas, and Dustin- set out on a rescue mission but little do they know that their friend is no longer in this world, but in a parallel dimension called the Upside Down. On the other hand, a girl who is only known by the number Eleven escapes from Hawkins Laboratory. It is soon discovered this is no ordinary girl but she can move things with her mind. When Eleven meets Mike and his friends, they immediately bond and the rescue mission resumes. As the children delve deeper into the secret world of the Upside Down, they realize that this is just another version of their own world, only darker. The mystery soon begins to unfold itself giving terrible secrets about Hawkins Laboratory and the looming danger that has shrouded the town.